The Blackfoot Art Center offers scholarship assistance to prospective campers with financial need. This assistance is available to both individuals and families. 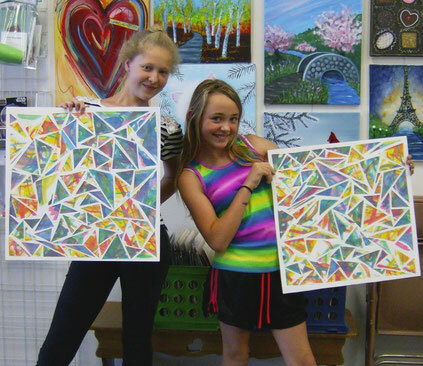 We believe that every child should have the opportunity to attend Art Classes and Camps. To apply, download our Art Class/Camp Scholarship Application, complete, and sign it. You must complete a separate Scholarship Application for each child for whom you are seeking financial assistance. Return the form(s) with any required documentation to the Art Center in person or by mail or email. Scholarship and Camperships are limited, so please apply early for the class or camp you are interested in. We will do our best to provide scholarship funding for your child to attend camp provided funds are available. Please note: Parents are expected to pay a percentage of the class or camp enrollment, based on income, cost of the camp, family size, and other factors. Would you like to nominate a student or a family member or friend for a class or camp scholarship? More ways to get discounted ART Camp Enrollment Fees! that provides the best financial benefit for your family. Enroll one child at full weekly price, get $20 off one sibling's weekly enrollment. If registering for two different camps, discount applies to the lower cost enrollment fee. You must register at the Blackfoot Art Center Studio (not online) and request this discount to receive it. Register online and receive $5 off each weekly registration; no restrictions! and get a discount on enrollment fees! plus a matching discount of up to $20.00 off your enrollment fee. Terms: Used, any size building set in good condition - we will negotiate the value and apply it to your enrollment fee. New, any size building set - bring in your receipt and get that amount plus a 50% discount on one enrollment fee. We will update this list periodically so please check back!